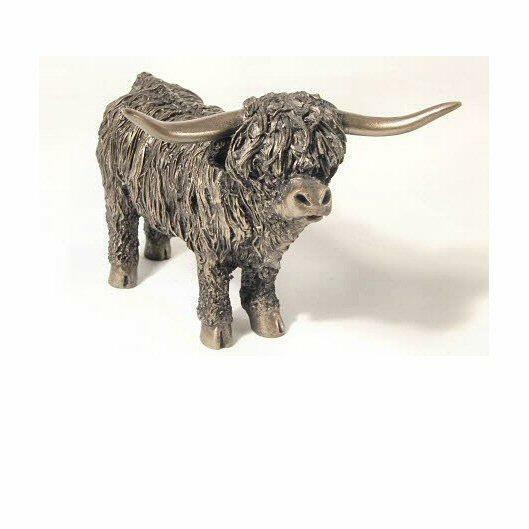 Delightful Highland Bull bronze sculpture by Veronica Ballan, from the Frith collection. A unique and very hardy breed, Highlanders are instantly recognisable by their horns and thick shaggy coats. This expertly crafted sculpture in hand finished, cold cast bronze would make a worthy addition to any collection or a fine gift for any lover of this charismatic breed. Supplied securely boxed and packaged.